This will take about 5 min! Mix 2 tablespoons of pumpkin spice, 3/4 cup sugar, 1/2 cup brown sugar, 2 tsp coconut oil, 2 tablespoons sunflower oil……That’s it! Mix and store in air tight container. I chose sunflower oil, as it has amazing benefits for skin, like the coconut oil. You can find decent oils just about anywhere! I put in a few essential oil drops, such as sea buckthorn oil. 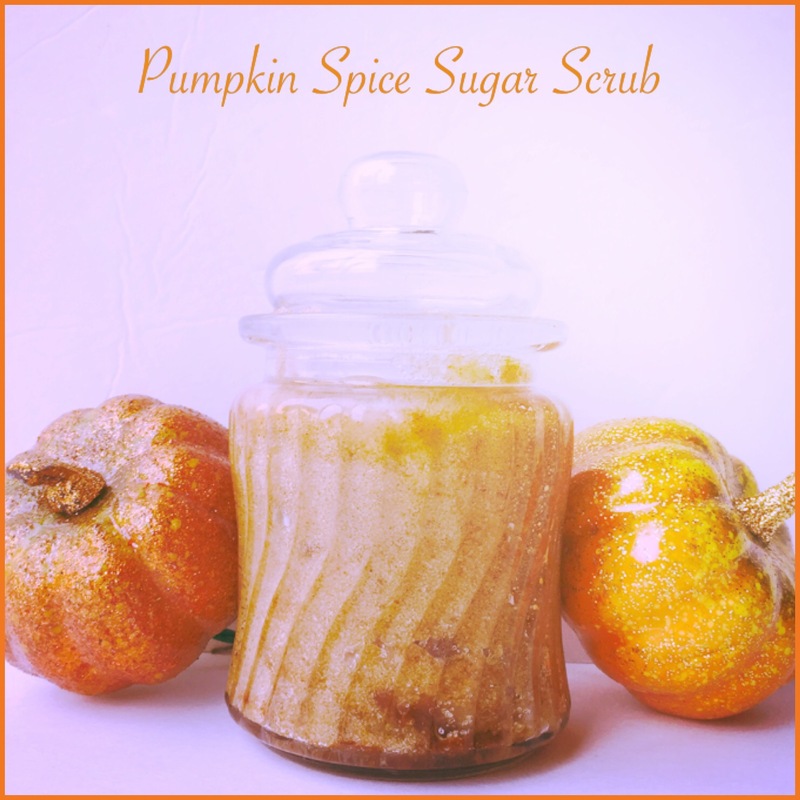 This smells so good and love adding the pumpkin spice as a seasonal exfoliating scrub. Must smell so divine! I would be tempted to eat it LOL!